Iran, March 17, 2019 - As we inch closer to Nowruz, the Iranian calendar New Year, people from all sectors of the Iranian society are holding protest rallies demanding delayed paychecks to at least provide a portion of their families’ necessities. In Tehran, the country’s capital, individuals who had pre-purchased Citroen C3 vehicles held a rally protesting the company’s refusal to provide their purchased cars. The company officials are also increasing the original agreed price. This rally was held outside the regime’s Ministry of Industry, Mining & Trade office building. Iran’s largest vehicle manufacturing companies released announcements encouraging consumers to pre-order cars at discounted rates.  Many people registered to purchase vehicles from Iran Khodro and Saipa. But their purchases haven’t been delivered to them, which has triggered protests in different cities. Clients of the Caspian credit firm, known to be associated with the Revolutionary Guards (IRGC), also held a protest rally in Tehran, demanding their savings returned. All the credit and finance institutions like Caspian, Arman Vahdat, Thamen al-Hojaj etc. were backed by state-run media organizations and Iran’s Central Bank. The Revolutionary Guards (IRGC), State Security Forces, Basij, and the Judiciary jointly own these institutions. In a large state-run scam, these credit and finance institutions swindled billions of dollars from the Iranian people. Subsequently, the customers of these institutions poured into the streets to protests and reclaim their deposits. Also in the country’s capital, a group of employees of the Saham-e Edalat firm protested the fact that their jobs remain in a limbo status and they have not received their due paychecks/pensions. Some of these protesters say they have not received portions of their paychecks/pensions for the past 48 months. In the city of Naqqadeh, western Iran, farmers held a gathering outside the city’s sugar cube factory, protesting not receiving any reply from officials in regards to their demands. Furthermore, a number of the farmers were seen spreading their sleeping equipment and the little food they had brought with them outside the factory boss’ office. In Karaj, west of Tehran, personnel of the Khomeini Hospital rallied outside the city’s provincial governor office. They are protesting and demanding their delayed paychecks, pensions and New Year bonuses.